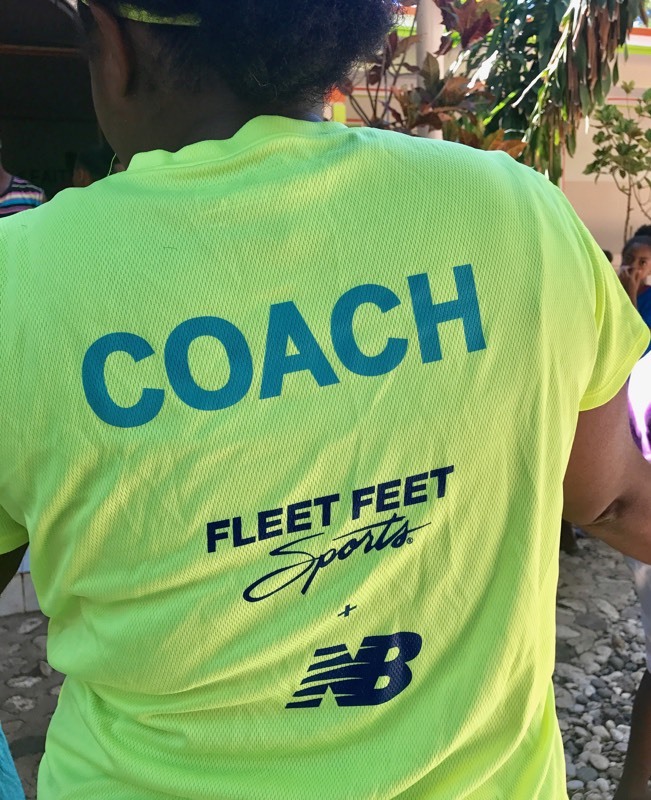 How did Fleet Feet Sports make it all the way to Haiti? Fleet Feet not only has a message of running...but of supporting others. Through the generosity of Dink and Suzanne Taylor and insight of Leigh Thigpen, there was a recognition for an opportunity Fleet Feet Sports-Huntsville could fulfill. That being the donation of expired training shirts to those who could benefit. Who took them and why? 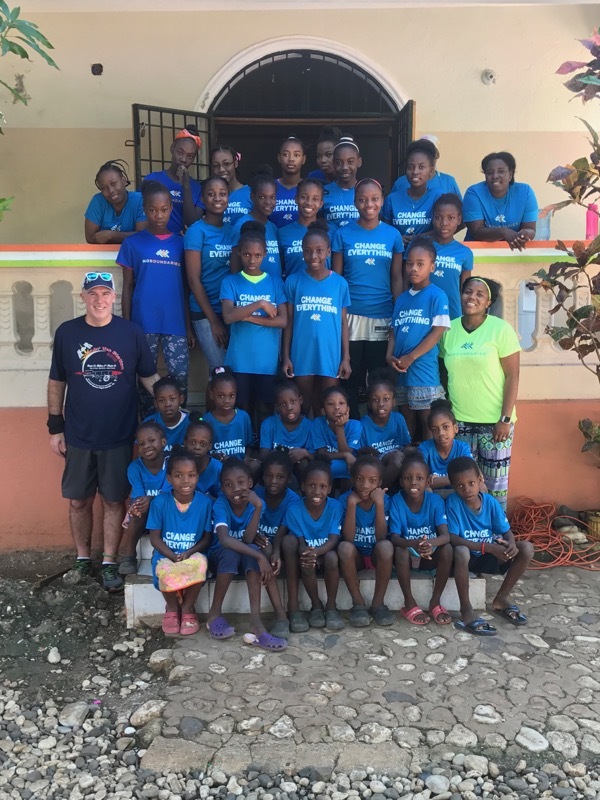 Jason Elmer, Executive Director of For Life Ministries, took the shirts on a recent visioning trip to Haiti. This was done for a few reasons. One, as a basic life necessity as well as an opportunity to let them know that there were friends from the United States who were thinking of them. It allowed them to be a part of something new, if even just by association --- for now. Finally, it may serve as an opportunity to connect two paths from different lands and allow an opportunity for those who may be interested, a chance to learn more. What was the response from the children? The kids, and adults, loved the shirts. There was immediate modeling and "workouts" kicked off. Ironically, the training themes of "change everything" and "no boundaries" was a great connection. Do they have activity programs? The kids do have activity programs everyday in school as well as enjoy volleyball and soccer as well. There are a number of the older girls, approx. 10, that enjoy running outside of their required physical education class. Do you think that there could be a future 5k race from the orphanage? For Life Ministries does co-host a 5k and 1-mile fun run each year, which is sponsored by FFS. This year the Technicolor 5k/1-mile Fun Run will be on May 12, 2018. Part of the proceeds from the race go toward the efforts of For Life Ministries' Love One Haiti program.